Happy Mother’s Day – 5x! (LEXINGTON, Ky) – Proud mom Briana Driskell doesn’t need flowers or candy to celebrate her first Mother’s Day this weekend. 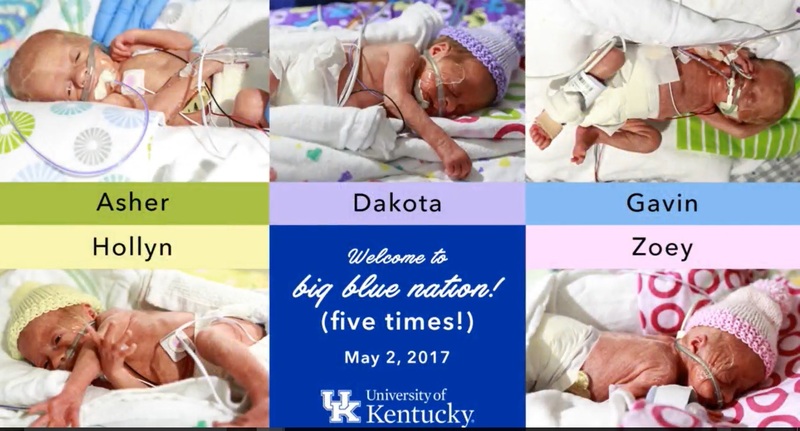 She considers each one of her quintuplets, born May 2 at the UK Birthing Center, a miraculous gift. Joined by the doctors, nurses and family members who helped along the way, Briana and her husband Jordan reflected on their journey becoming parents of quintuplets during a press event at the UK Chandler Hospital on May 12. 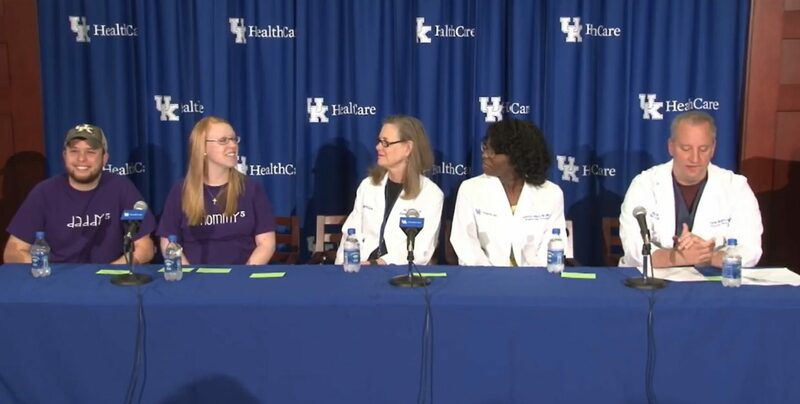 Briana and Jordan Driskell, the parents of quintuplets born at UK HealthCare, were joined by Dr. Wendy Hansen, chair of the Department of Obstetrics/Gynecology at UK HealthCare, Dr. Peter Gianonne, chief of the Division of Neonatal Medicine at Kentucky Children’s Hospital, and Dr. Quinetta Johnson, an obstetrics fellow at UK HealthCare. Briana Driskell delivered two boys, Gavin Lane and Asher Blaze, and three girls, Dakota Faith, Zoey Hart, and Hollyn Grace. 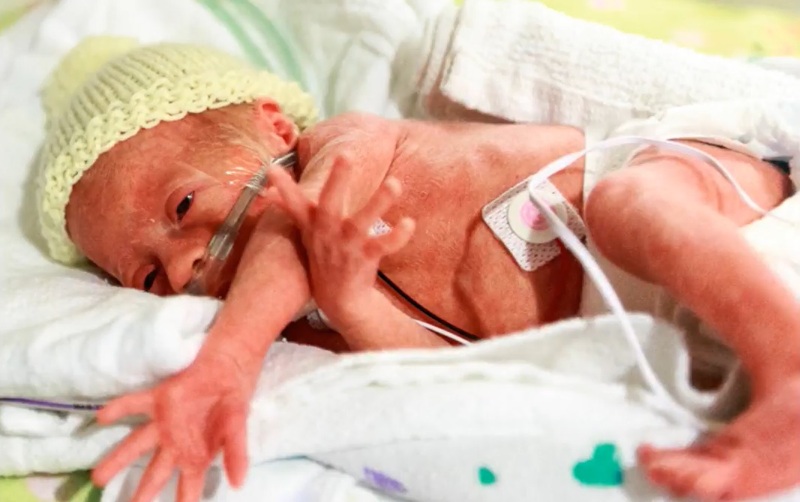 She was admitted to the hospital at 22 weeks, and due to concerns related to pre-eclampsia, the babies were delivered at 28 weeks and three days gestation. The smallest and firstborn, Zoey, was 1 pound and 13 ounces. Hollyn, the final baby to arrive, was born at 2 pounds and 6 ounces. The babies were delivered by a cesarean section performed by UK HealthCare obstetrician Dr. Quinetta Johnson and overseen by Dr. John O’Brien. “I just keep looking at them and I really don’t understand how they all fit inside me,” Briana Driskell said. 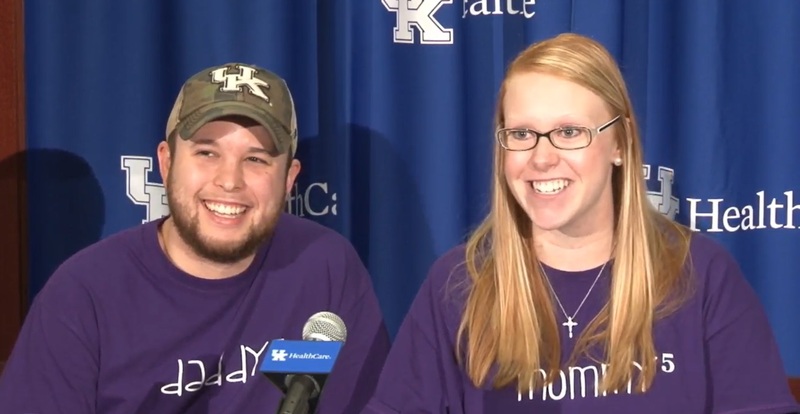 The Driskells, who are from Versailles, Kentucky, praised the competence and positivity demonstrated by the members of their medical team at UK HealthCare. Friends of the family set up a GoFundMe page to help with medical expenses.